The $10 million 'anaerobic digester' is the culmination of a five-year effort. BRUNSWICK — Dave Weyburn wants your garbage. And your sewage. All of your biological waste, actually. Weyburn and his business partners are counting on the things most people flush or throw away to fuel a 1-megawatt “anaerobic digester” that their company, Village Green Ventures, is building at the Brunswick Landing business park in Brunswick. They are going to need roughly 180 tons of it each day. Anaerobic digesters consist of massive tanks containing bacteria that “eat” biological waste and convert it into methane-rich biogas, which powers a turbine to generate electricity. 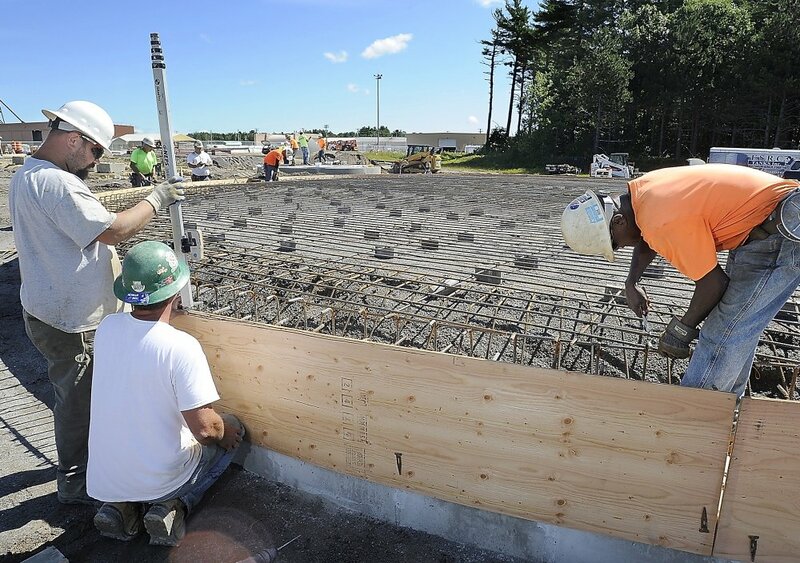 The Brunswick Landing digester will have three steel tanks, the largest of which will stand 75 feet tall and have a capacity of 850,000 gallons. Digesters can eat most any kind of organic material, including food waste, sludge, manure and cooking grease. “If there was a market for roadkill, we could take it,” said Weyburn, a former Boeing engineer who is Village Green’s president and managing director. Once operational, the Brunswick Landing digester will offer a relatively cheap way for nearby waste-management firms, sewer districts and others to dispose of solid and liquid waste while providing power to the former naval air base, which has a goal of producing all of its own power from renewable sources. As a byproduct, the digester also will produce 40 tons a day of high-grade fertilizer, Weyburn said. Anaerobic digestion isn’t new – some say Assyrians burned biogas in the 10th century B.C., using it to heat bath water. More recently, the technology has taken off in Europe, where it is considered an ideal way to generate power in small communities, Weyburn said. “In Europe there are thousands of them,” he said. The $10 million digester project in Brunswick is the culmination of a five-year effort by Weyburn and his business partners. It is being funded by a variety of sources, including a U.S. Small Business Administration-backed loan from Androscoggin Bank, friends and family, renewable energy tax credits, and loans from community development corporations Coastal Enterprises Inc. and Granite State Development Corp. Scheduled for completion by the end of the year, it will be the second privately operated power plant of its kind in Maine. A comparably sized digester built in 2012 is operated by Stonyvale Farms in Exeter. A 1-megawatt power plant can produce 1 megawatt-hour of energy per hour at peak performance. That is roughly the amount needed to meet the average hourly energy needs of 1,000 homes. As construction on the Brunswick digester continues, Weyburn is busy trying to line up the waste suppliers who will feed it. The Brunswick Sewer District is on board and plans to deliver to the digester roughly 2,400 cubic yards a year of solid biological waste from the district’s nearby wastewater treatment facility, district General Manager Leonard Blanchette said. The digester can handle about 40,000 cubic yards of solids per year, and another 40,000 cubic yards of liquid waste, Weyburn said. The sewer district currently transports its waste to a Casella Organics composting facility nearly 70 miles away in Unity. But the digester is only 2 miles away, which will lower the district’s costs, Blanchette said. Even Casella Organics is a potential supplier, although it also will be a competitor. Such conflicts are not unusual in the waste-disposal world, said Jen McDonnell, director of sales and marketing for the Portland-based company. Energy customers inside the 3,200-acre Brunswick Landing will benefit, too, said Steve Levesque, executive director of the Midcoast Regional Redevelopment Authority, which manages redevelopment of the former Naval Air Station Brunswick. The business park is unusual in that it owns and operates its own power grid, which it inherited from the Navy. That makes it the ideal test bed for Weyburn’s digester, Levesque said. The expectation is that it will produce enough energy to serve about half the needs of Brunswick Landing businesses during peak hours. The rest would continue to come from Central Maine Power unless the business park can attract other renewable energy producers. Anaerobic digestion is different from solar or wind power generation in that it can provide a consistent energy output at all hours of the day, said Patrick Woodcock, director of the Governor’s Energy Office. It doesn’t rely on intermittent conditions such as wind and sunlight – only a steady flow of waste to digest. Still, there are drawbacks to digestion that have relegated it to niche-player status in many places including Maine, Woodcock said. It requires adequate sources of waste that are close enough to keep transportation costs at a minimum, he said. Brunswick Landing has two big advantages that will help keep the digester’s costs competitive, Woodcock said. It has a very local waste stream and is right next to the businesses that will consume its energy. One of the key factors to making the digester a success will be coming up with the right mixture of waste products to make the gas-producing bacteria fire on all cylinders, Weyburn said. “You’re almost like a chef coming up with the best recipe,” he said. 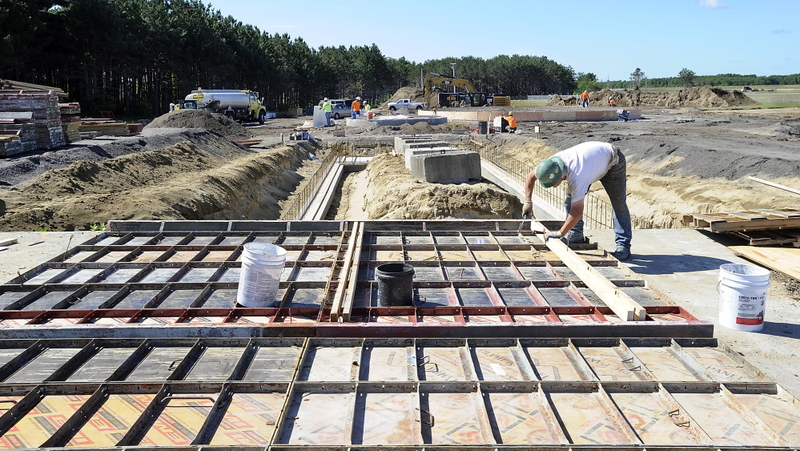 Wiscasset-based Coastal Enterprises Inc. is one of the lenders involved in the project. John Egan, CEI’s senior vice president for loans and investments, said the digester’s high capacity and the expertise of its creators make the project a relatively safe bet. 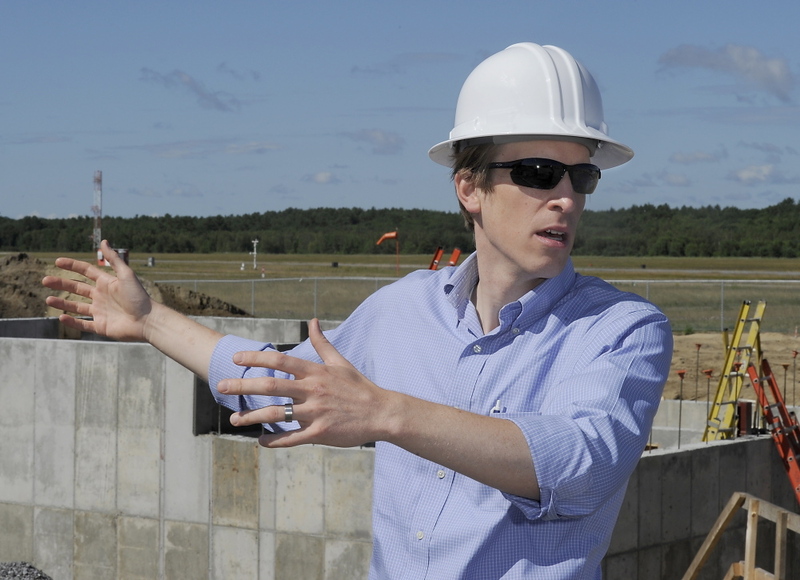 Cleveland-based Quasar Energy Group designed the digester and is managing its construction. The project also fits with CEI’s mission of investing in renewable energy, Egan said. One of the biggest challenges for startup power companies can be finding long-term customers, he said, but with Brunswick Landing, the digester already has a built-in customer base. “That was a very savvy move by Dave and his partners,” Egan said. Weyburn hopes the digester will help dispel the myth that affordable, reliable energy only can come from highly polluting sources such as oil and coal. “There’s an argument that you either have to be cheap or you have to be environmental,” he said.